Insects that eat carpets, clothes and other woolen or natural material based fabrics are known as "textile pests". In general, they are not associated with poor hygeine or disease spreading as other pest species. Instead they are quite selective in their choice of breeding sites prefering natural fabrics such as wool mixtured carpets and woolly jumpers to lay their eggs and feed upon. The adult moth has a body length of between 6 and 8 mm and a wingspan of 9 to 16 mm. The upper side of the fore wings is buff, nearly golden, in colour. Both pairs of wings have fringed margins. The larva is yellowish white in colour with a brown head and measures around 10 mm in length when fully mature. Common Clothes Moth, Case Bearing clothes Moth and Varied carpet beetles all go through “Complete Metamorphosis”. Eggs are laid by the Adult moth in suitable feeding material (between 50 and 100). Once hatched the larva emerges and proceeds to feed on the fibres present. All textile pests seek the natural protein Keratin to aid in their development. Whilst feeding the larva constructs a loose silk casing which becomes attached to the debris produced by the larva. The larva then crawls inside the casing and seals it up to pupate. The adult moth then emerges from the pupal stage and lives for around 2-3 weeks. As with most insects, the life cycle stages are influenced by temperature, relative humidity, moisture and available food. The total life cycle in a normal household takes around two months from start to finish. Treatment consists of tracing the source of infestation and then applying an insecticide treatment to infested areas. Textile pests are often found in association with birds' and mammals' nests, therefore these possibilities are also investigated. Countrywide apply a mixture of both residual and ULV insecticide applications to ensure that all stages of the life cycle are rapidly dealt with. We take particular care that the right products are selected to prevent any staining or contamination of soft furnishings. Do you have problems with clothes moths? Do you need some further information? or email our clothes moth treatment team here! For Common Clothes Moth problems in Berkshire, we can get rid of those bugs in your carpet in Ascot, Windsor, Bracknell, Wokingham, Henley on Thames. Reading, West Reading, Pangbourne, Tilehurst, Purley on Thames, Burghfield, Mortimer, Tadley, Thatcham, Newbury, Hungerford and Lambourn. To remove moths and carry out carpet treatments in North Hampshire our trained pest control operators can respond quickly to all areas of Basingstoke, Hook, Fleet, Farnborough and Nearby towns and villages such as Hartley Wintney. To prevent damage by moths in Wiltshire our east Wiltshire pest control cover Swindon, Marlborough, Devizes, Pewsey and Calne. 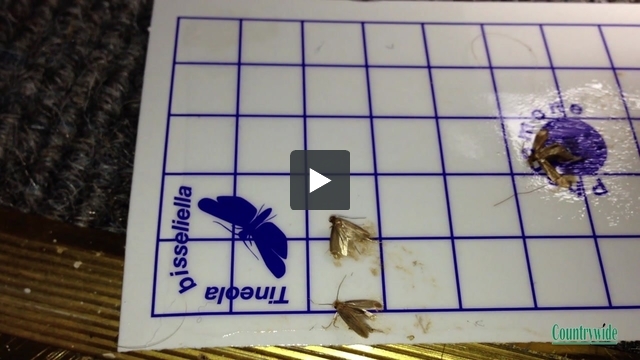 To deal Carpet moth treatment in Oxfordshire just call our pest hotline and we'll be there. Covering Abingdon, Wantage. Wallingford and Didcot.